10 Great Free Photoshop Sky Brushes: Up, Up, and Away! There’s something enchanting about a starry sky, and it’s hard to deny the calming effect of blue skies with big puffy white clouds. But what if the picture you take doesn’t have the effect you want? Or what if you’re working on an art project, and you’re not quite sure how to get the right effect? Maybe you’re looking to increase the mood by adding some effects to the negative space in the margins of your DTP projects. 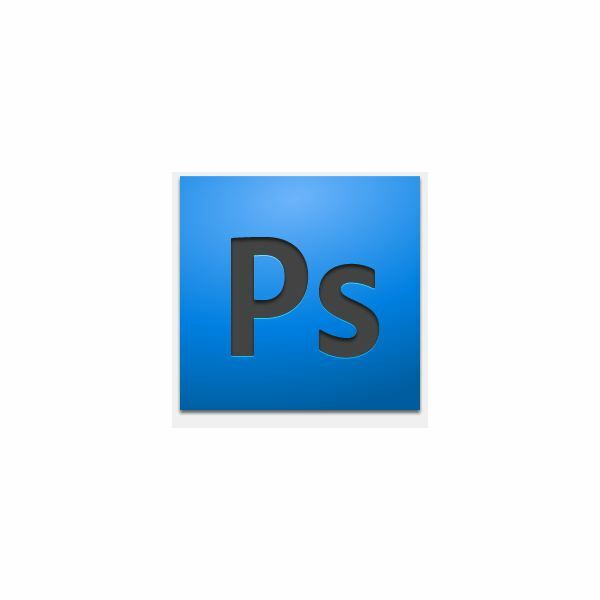 This article will spotlight some great Photoshop sky brushes, from clouds to stars and more! 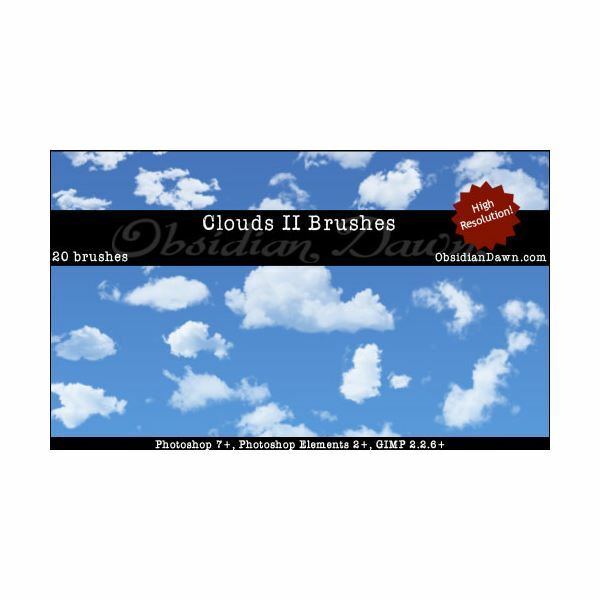 JavierZhX has provided us with 10 Cloud Brushes from high quality photos of big, puffy, bright white clouds. I love this set, because it’s as eye-catching as they come! Sunira used actual images from the Hubble Telescope to create a wild array of Nebulae Brushes, giving us some of the coolest sky-based brushes out there. These brushes definitely rank in my top favorite brushes, as they’re just so unique. 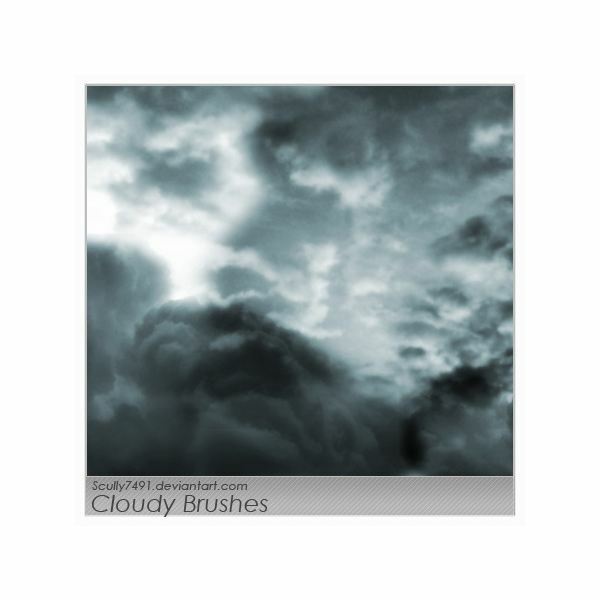 Not every sky is a clear blue sky, and these Cloudy Brushes by Scully7591 help give you that gloomy feeling. Of course, if you’re like me and love grey skies and rainy days, you probably don’t mind so much. I love the stormy (or snowy!) feel these brushes give. Special Note: This is a personal-use only brush and may not be used for monetary gain. 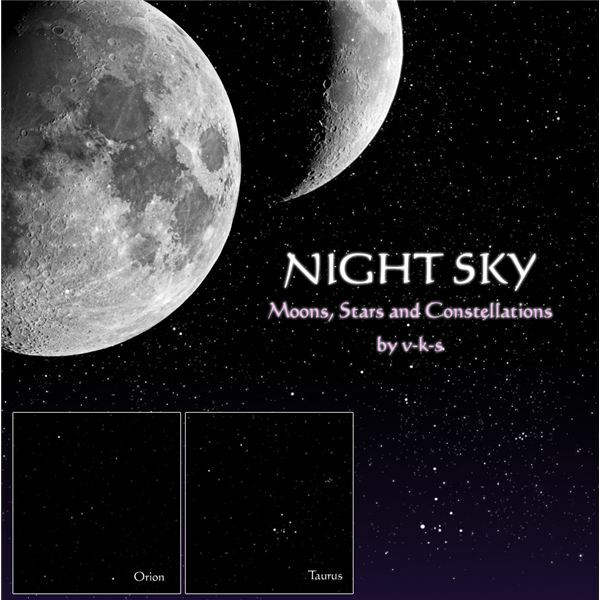 v-k-s created a great brush pack called Night Sky Brushes, and it includes moons, stars, and constellations. This pack works absolutely awesome for those times that you want to create a very realistic sky that people can admire. I love the detail of the moon and the fact that she uses widely recognized constellations like Orion. 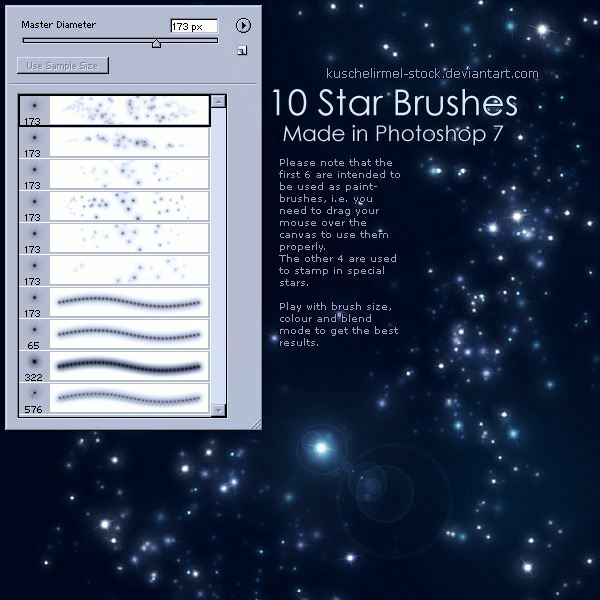 kuschelirmel-stock has created a bunch of pressure sensitive Star Brushes for both stamping and digital painting. Because they're pressure sensitive, that means if you've got a graphics tablet (like a Wacom tablet) you'll be able to use them to create stunning effects. Still, even if you don't have a graphics tablet, you'll be surprised how great these work just for stamping. 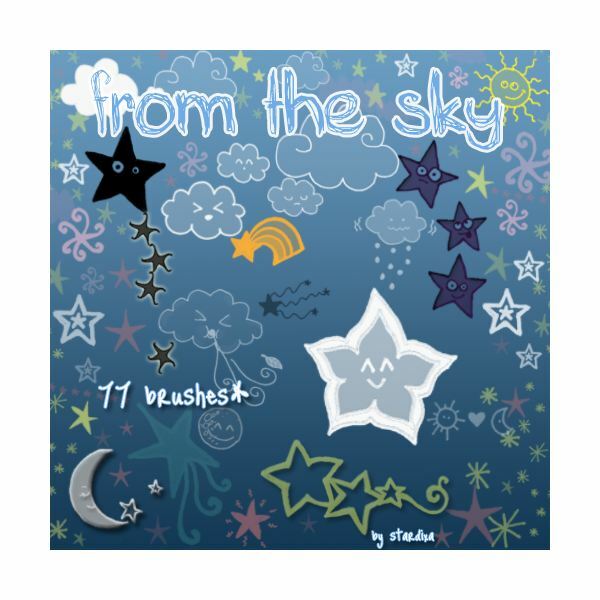 From The Sky… includes 77 brushes, all hand drawn by Stardixa. 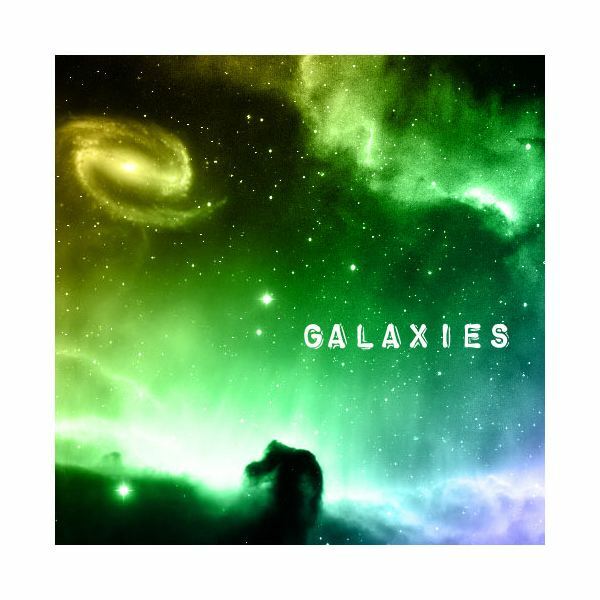 This is a fantastic pack that includes stars, suns, moons, and clouds. A great doodle/cartoon feel and very cute. Honestly, I find it incredibly hard to do a brush feature without including at least one thing by Redheadstock over at deviantART, and as always she has not disappointed me at all. 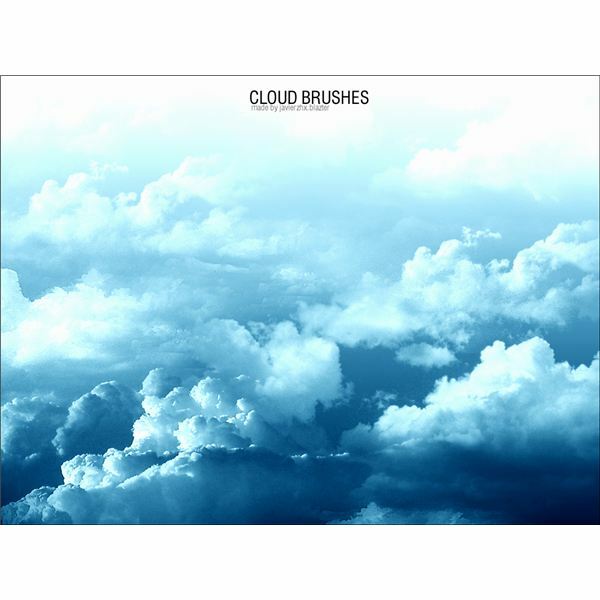 Clouds II is a high quality brush pack that includes 20 great brushes that are sure to add the perfect amount of puffy white clouds to all your projects. What’s a sky without a little rain every so often? For those of you looking for an awesome free Photoshop rain/wet brush, these are absolutely fantastic. 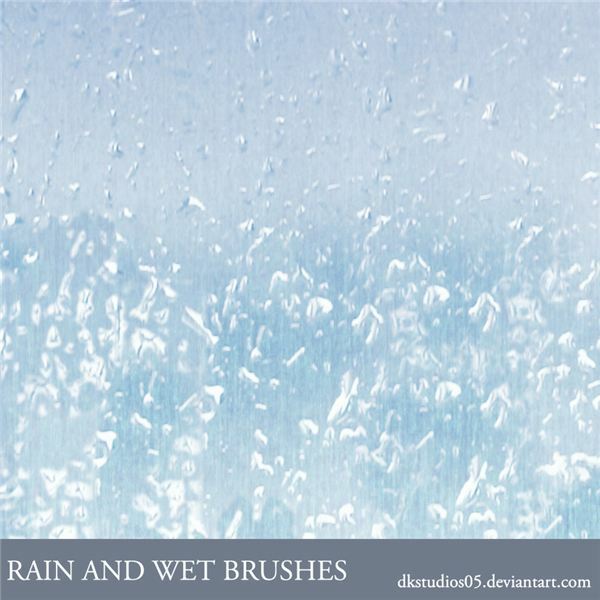 Rain & Wet Brushes by DKSTUDIOS05 is a high quality brush pack that includes nine brushes for all your rainy-day needs. If I had to pick my favorite Photoshop sky brushes, I’d have to pick these ones. 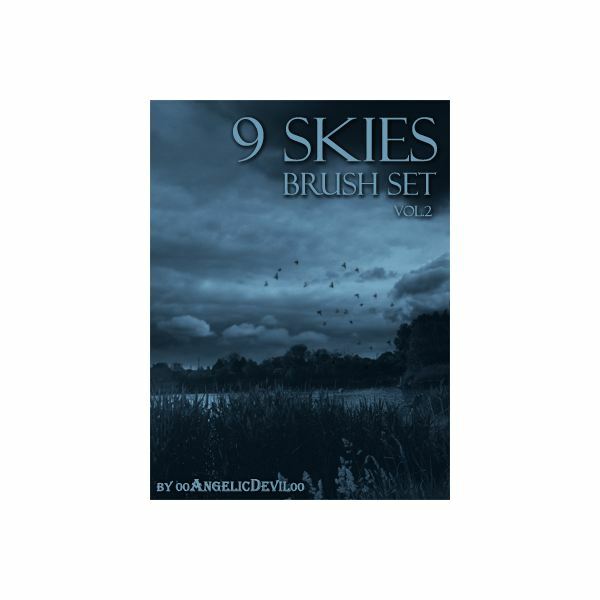 Nine Skies Brush Set (volume 2) is an absolutely breathtaking set by 00AngelicDevil00, that is incredibly high resolution. They’re great for those of us who love bigger brushes for printwork or start larger scale and work down. Redheadstock has done it again! 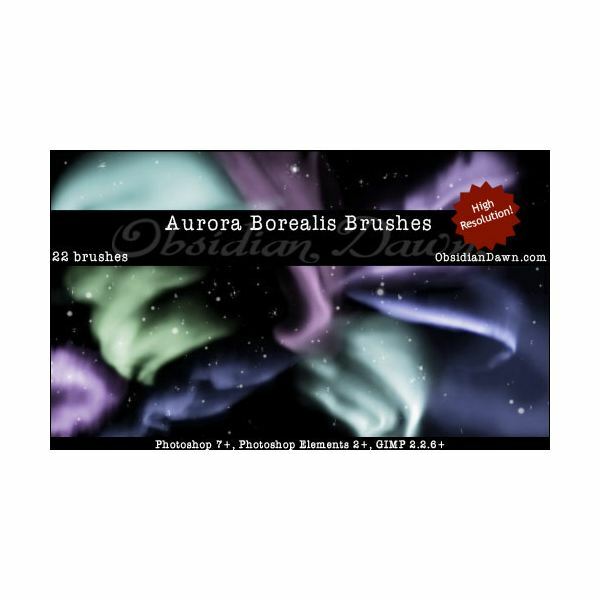 This time she offers up her Arora Borealis brush pack, a high quality pack of 22 brushes for all your spacey needs. These are so cute and look amazing against a black background with a few stars. All of these images were created by their respective artists, and are used for demonstrative purposes only. Thanks to the great artists over at deviantART for these amazing free brushes.